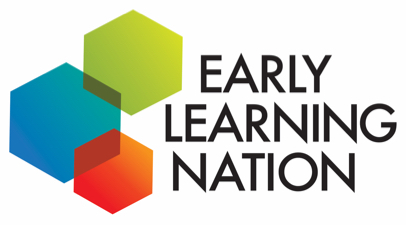 Early Learning Nation: Sumitra welcome to the Early Learning Nation studio. Thanks for joining us. Sumitra Mishra: Thank you for having me here. Early Learning Nation: For people in the US, what is a creche and why would one want it to be mobile? Sumitra Mishra: A creche is traditionally a center that provides quality care in all its sense of integrated good quality holistic care for children under six years. It’s a place where working families would like to leave their children behind under the supervision of a trained and qualified caregiver. The interesting part of it is why does it need to be mobile? Because we work with the most vulnerable children and they are children of migrant workers who are moving from place to place in look of work, and these creches are located at their work sites. It is therefore mobile because a creche lasts at a work site till as long as the workers are working in that community at that work site. The workers move to another place in look of work, search of work, and the creche moves to a different location where there are more children who need those services. So, it’s not a bus that moves from community to community through the day, but the nature of it being mobile is that it follows the families where they find work. Early Learning Nation: Early childhood development is hard. In a world of migrant children it would seem impossible so … very challenging. Nothing is impossible to an organization like Mobile Creches. How do you focus on helping advance the learning, helping advance the education in an environment where you’re dealing with children in some of the most difficult circumstances possible? Sumitra Mishra: You’re right that this is a very challenging community to work with where their survival and existence is being questioned on a daily level. To think of early childhood care and development for their children is a very far off dream for most of the families that we work with. Therefore, our program is very central around the family. You’re looking at supportive parenting, just looking at building an understanding about quality childcare within the larger community, and then you are backing it up by supporting the child through a proper health, nutrition, and stimulation program. All of this … The main ingredient that binds all of this together is the love and the care. Don’t forget children need love and care, and all our care workers are trained how to find that love in their heart to give it generously to children along with all the other elements that is important for an ECD program. Early Learning Nation: Does the knowledge, does the training, does the importance of love and the role that that can play in early childhood learning … Does that get delivered and translated to the parents as well? Is that part of it, or is this an environment where parents who have to work in difficult jobs under difficult conditions can at least for those hours feel good that their children are in an environment where they’re getting all of the things that surely the parents would like to be delivering on their own, but might not be able to? Sumitra Mishra: Certainly for those eight to 10 hours a day when the parents are working, children are being looked after, stimulated, and protected in the hands of qualified center workers, but the program that Mobile Creches runs is very closely connected to the families and the communities. So, throughout the day, and through the week and the month there’s a lot of engagement with the parents in helping and supporting them to improve on their own child rearing practices, and improving their understanding so that when they’re moving away from this community and this creche some of the practices get embedded within their family lives. Early Learning Nation: How about the businesses where these parents are working. What role do they play? Are they supportive of the efforts, and how does that relationship work? Sumitra Mishra: I have been thinking a lot through since the last two days of this workshop to see how business leaders have in the US come together to talk about ECD in a very informed and a very strong argument. Unfortunately in India we are at the very early stages of building that argument. The businesses here care for the children because A, it’s a question of compliance under the law for them to be providing childcare entitlements to the workers. B, they care for the children because it’s a question of their reputation if something goes wrong with the families of the children and therefore a protective center is good. Three, there is hunger, and nutrition, and health issues of a lot of these children and we’re talking of hundreds of thousands of children who are stunted and [inaudible 00:04:57] in the country. So, there is a sense of responsibility of the businesses that while the workers and the children are with them they will provide better quality care. It’s a mix of different motivations. It’s not so much a policy and systemic issue that we would like to see like what I’m seeing here in the US, but we’ve got a good start with some of our business leaders engaging with us over so many years now, 50 years of Mobile Creches. Early Learning Nation: You looked, you cheated! That was one of the things I wanted to ask you about. Next year is your 50th anniversary which is a remarkable amount. It’s a remarkable testament to what Mobile Creches has done. Tell me the story of how Mobile Creches began. I read about it online, and it’s an incredibly powerful story so tell me story of how you began. Sumitra Mishra: Well, 1969 is when it began. It was founded by a woman called Meera Mahadevan who’s been an original Gandhian. Incidentally and ironically the first creche started at the place which was being constructed as a Gandhi memorial for his 50th year centenary. So, since 1969 to 2019 is going to be our 50th year journey, and we’ll be celebrating our 50th year with a Gandhi centenary celebrations. The plight of children in the construction sites was very dismal. It continues to be dismal, but from the very beginning Mobile Creches did not look at a creche and the entitlement of a child as a question of charity. It was always a right of the child and in our negotiations with our business leader we always kept that in the front. That it is a right of the child and it is a responsibility for you to ensure that the child’s right is guaranteed. However we don’t wear our activist hats on when we’re speaking to business leaders. We are as facilitators, supporters to make it happen and that works. That strategy works. Early Learning Nation: What is the environment like where these children are? Where the creches get put. Just describe that for people who may not have seen the pictures. Sumitra Mishra: Well for one construction currently is happening outside of the main city limits which is completely unorganized. There’s no health, there’s no road, there aren’t any hospitals there. There aren’t any schools there because it’s a new area that is coming up. When migrant labor comes they’re not from that community. They’re coming from thousands of kilometers away. So, there is a language barrier. There is an issue around food, culture, and all of that. So, they are literally aliens within the community in which they’re living. These are very temporary living conditions, unsanitary living conditions. They can range from anywhere between 10 sheds of accommodation to living in a half built basement of the same building that they’re building. In those situations there is lack of access to water, to toilets, food is very poor there. So, you can imagine the plight of the children. It’s a question of survival. Early Learning Nation: It’s a question of survival and with the work that you’re doing it’s a question of enhancing that survival. Sumitra Mishra: Yes, making it a little better, being a little supportive in their survival. You can’t change it completely for them and that’s a public provision mandate. There is a government who needs to take responsibility, but how can you work with the government and with the community to make it a little better. Early Learning Nation: Thank you – thank you for your work, and taking the time. Congratulations on 50th anniversary. Sumitra Mishra: Thank you, it’s a pleasure.